“Kotval’s Korner,” a new e-communication, hopes to open a dialogue to address our county’s challenges and to celebrate the milestones we achieve together as we work to provide permanent solutions to end homelessness. 2019 is the year of YOU! 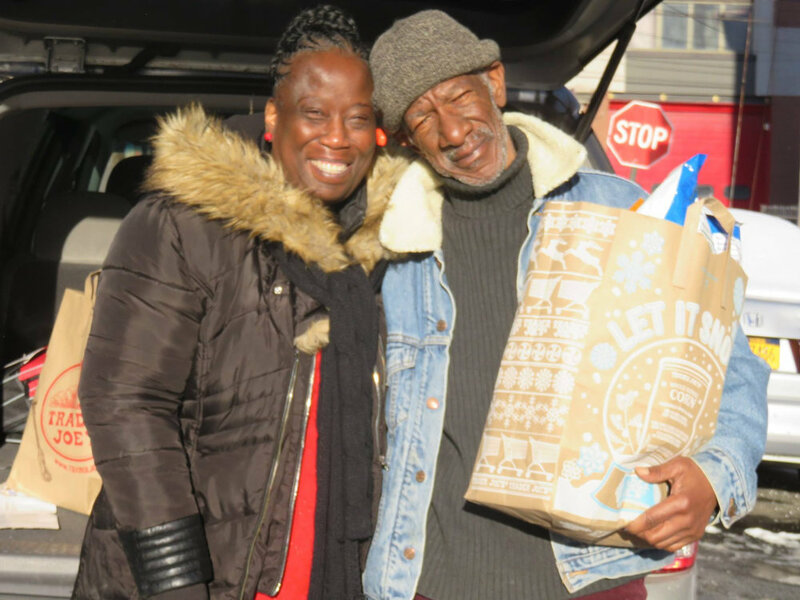 Your support has inspired us to take a deep look at the services we have historically provided our neighbors in need and challenged us to ask: "How can we better serve the hungry and homeless?" You have helped shape our vision for 2019 . . . a vision that will help our clients become more self-sufficient and lead happier, healthier lives. To transform our existing weekday Soup Kitchen into a Social Services Hub. Your support is helping us to expand outreach services to the 60 - 80 individuals who come to Grace's Kitchen each day. In addition to the case management we added in 2018 provided by the Charlie Bevier Outreach Team, our guests will benefit from a new Health & Wellness Program in 2019. This program will provide health screenings, educational classes and other programming designed to reduce preventable disease and decrease the number of visits to local emergency rooms. To provide vocational training and employment opportunities. Your generosity has allowed us to continue to offer Home Health Aide Training classes to low-income men and women and develop a more robust vocational training program (e.g., hospitality, maintenance). We will assist clients with job search, resume writing and interview skills to ensure their exit from our shelters is more successful. To create permanent solutions to end homelessness. Your unwavering support has allowed us to create the Pathways to Self-Sufficiency program, a new initiative designed to address the multiple barriers that have impeded our shelter and emergency drop-in clients' success at independent living. Because of you, we will be able to provide ongoing case management to identify and rectify problems early to ensure housing and employment is retained for our neighbors in need. To expand our Youth Programs to ensure brighter futures for all. With your help, we will hire two new tutors to meet the growing demand for our services. The additional support will help us to better prepare our homeless and at-risk students for the industries and jobs of the future. Our children deserve to be the first in their families to go to college, and the last to live in poverty. Because of YOU, 2019 will combine the best part of our past with our ambitious vision for the future to better address the needs of those who are hungry and homeless. You would love 10-year old Sofia if you met her. She is smart, funny and endlessly kind… in spite of a life that’s been filled with hardships. 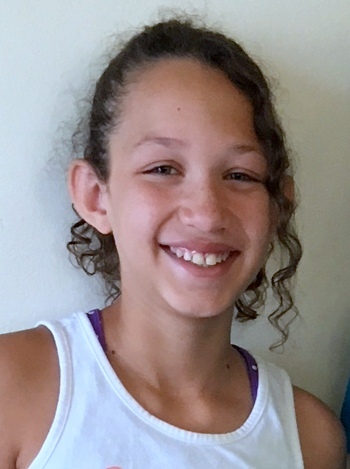 Click here to read more about Sofia's journey to our Summer Camp. As a fellow Westchester County resident, you know first-hand the incredible resources and opportunities our county has to offer. But did you realize that amidst so much wealth there is also widespread hunger and homelessness in our own backyard. 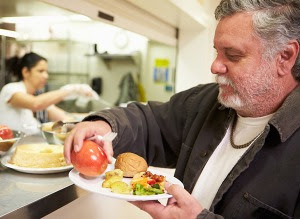 200,000 residents don’t know where their next meal is coming from. Over 1,800 men, women and children are experiencing homelessness on any given day. 1 in 10 residents are living below the federal poverty line. You can help change these statistics by joining Lifting Up Westchester in a journey to restore hope to our neighbors in need. “Kotval’s Korner,” a new monthly e-newsletter, hopes to open a dialogue to address our county’s challenges and to celebrate the milestones we achieve together as we work to provide permanent solutions to end homelessness. Read below to hear from Tara, a lifelong resident of Westchester County, who never imagined that one day she would become homeless. Tara has been a resident of Westchester County her entire life . . . She never imaged that one day she would become homeless. Born and raised in White Plains, Tara was a junior in college when an unexpected family emergency forced her to take a leave of absence. Just as things seemed to be turning around, Tara was diagnosed with cancer. Her illness led to bills and rent continuing to pile up until one day, she found herself homeless. Click here to read more about Tara’s journey through homelessness.